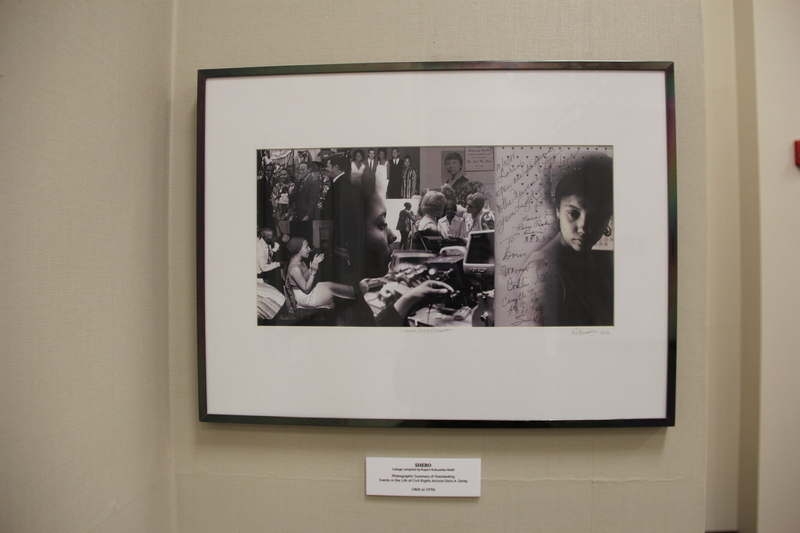 Among those local icons are Myrlie Evers, Fannie Lou Hamer, and Margaret Walker Alexander. But refreshingly, most of the frames, which wind around the room like a black and white filmstrip in a silent movie, show images of common folk (primarily women) simply carrying on. The exhibit, on display through August 1, was unveiled April 11 as part of the opening ceremony for Jackson State University’s eighth annual Creative Arts Festival. The theme for this year’s Creative Arts Festival, “The Legacy of Freedom Summer,” befit Dr. Derby’s exhibit, which chronicles the mood following the summer of 1964 in photos that date roughly from 1967 to 1978. People consider the summer of 1964, known as Freedom Summer and sometimes referred to as the Mississippi Summer Project, he climax and turning point of the Civil Rights movement. That summer, the largest number of northerners penetrated the closed society of Mississippi and heightened the media coverage, thrusting the Deep South under the watchful eye of the nation. The projects of that summer focused on several issues, most notably increasing voter-registration for African Americans and creating national awareness for the injustices that were a way of life in the south. Derby’s photographs capture other aspects of the movement from senior citizens quilting and literacy classes being taught to activities at Liberty House Handicrafts Cooperative and the Black Power Convention to name a few. Compilation of events in Dr. Derby’s life by Rupert Rukuumba Nedd. During her time as a member of the Civil Rights organization called the Student Nonviolent Coordinating Committee, Derby documented persons and events that testify to the grassroots efforts dedicated to the cause. It was while she was a member of this organization that Derby helped organize 1963’s March on Washington. In 2013 Time commemorated the 50th anniversary of the march and Martin Luther King Jr.’s “I Have a Dream” speech in a five-part documentary in which Dr. Derby is among 17 activists featured. SNCC co-founder Julian Bond is also featured in the series and is one of the few men celebrated in Derby’s exhibit at JSU. A ten-year veteran of the civil rights movement, Derby’s exceptional photographs are included in “Hands on the Freedom Plow,” a book recognizing the contributions made to the movement by the women of SNCC. In 1990 Derby became the founding Director of African American Student Services and Programs at Georgia State University where she served until her retirement at the end of 2012. In a video clip published by Georgia State University, Derby talks about her photographs. A total of 41 photographs are in the exhibit, 40 by Derby and the 41st by artist Rupert Rukuumba Nedd as a salute to Derby. Nedd’s is a compilation of outstanding events in Derby’s life from the 1960s and 1970s. The collage includes some handwritten well wishes to Derby, and among them is the clear signature of Rosa Parks. This article first appeared in June 11-17, 2014 issue of Jackson Free Press (vol 12 no 40).